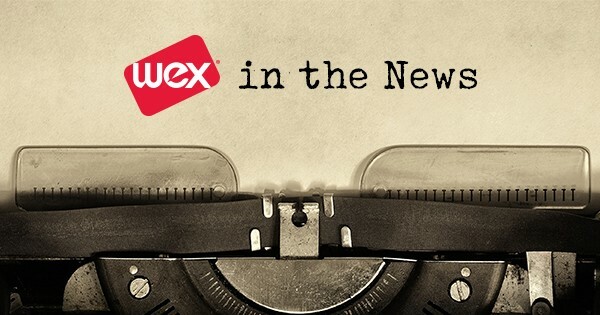 WEX in the News: Q3 Earnings, Expert Executives and Expansion into Japan | WEX Inc.
Last week, we stole more than a few headlines when we posted our quarterly earnings. But several of our executives also landed in the news this past month—sharing their expertise on everything from open enrollment to drivers’ ever-evolving day-to-day needs. We also nabbed coverage of our new partnership with Japan’s international payment brand, JCB. Our third-quarter earnings revealed $382.7 million total revenues, an 18 percent year-over-year increase, with earnings at $2.19 per share. Our net income is also up 53 percent, and both earnings and revenues surpassed the Zacks Consensus Estimate. This earned widespread coverage and analysis, from local publications like the Bangor Daily News and Portland Press Herald to trade sites like PYMNTS.com to top outlets like Yahoo! Finance. Bernie Kavanagh, our senior vice president and general manager of large fleet, talked to Fleet Management Weekly about how our applications are addressing the evolving needs of today’s drivers. Jeff Bakke, chief strategy officer at WEX Health, spoke with U.S. News & World Report about what millennials should consider when weighing their health insurance options during open enrollment. That piece, called “15 Things Millennials Should Know About Open Enrollment,” was also picked up by Yahoo! Finance. PaymentsSource covered our partnership with the Japanese-based international card network JCB, which brings our virtual card payment technology to the Japanese market. For more on WEX, our employees and why we’re a great a place to work, continue exploring our blog.